DR. Lal Chandani path lab is one of the best NABL accredited pathology lab in Delhi/ NCR. Very few people age gracefully. Rest of the population grows with complications and diseases after the age of 30. We know that people tend to get unhealthy and sick after they cross 30 as the bones, muscles, digestive system, immune system etc. are not as healthy as they used to be. Once the bar of 30 is crossed, one must get serious about one’s health. A routine checkup can be of immense help to stay carefree and take precautions before it’s too late. Cholesterol Test: The more is the cholesterol, the more we tend to get bulkier and unhealthy. This test is topping the chart of tests that need to be done by everyone. Slim and fit is the mantra to lead a healthy life. With the aid of this test, you are in control of the heart diseases which are likely to attack you. As there are no prominent symptoms of high cholesterol, getting a test done is the most feasible way. Blood Pressure Test: As high blood pressure has a serious effect on heart and kidney, a test of blood pressure is a must. With the hectic lifestyle and food habit, people have gotten more prone to high blood pressure. Keep a check and stay safe. Breast Examination: Off late, many women are detected with breast cancer and after 30 women are more vulnerable to cancer. Getting a routine screening of the breasts can be a better option. Apart from a physical examination by a gynaecologist, there is a simple X-ray of each of the breasts and the process is called mammogram. This test is recommended as the detection is quicker and immediate steps can be taken if diagnosed positive without delaying the stage. After all, it is known to all how deadly and life threating the term Cancer is. 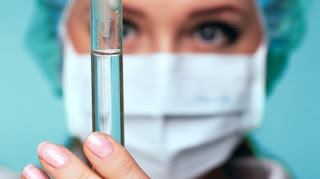 Thyroid Test: Thyroid test is done to check if there is any problem in the thyroid gland. This test should be done after 30 to check if the gland is in proper function and not creating any health related issues like weight gain, periods, constipation, weight loss and much more. After 30, males and females start putting on weight owing to the responsibilities taking over priorities of health. Getting this test done can release the stress of people especially women who are phobic to put on weight. Diabetes Test: Type 1 and Type 2 diabetes are quite common these days. These tests are mandatory to keep a check of high blood pressure, high cholesterol levels, and even heart disease. Regular diabetes tests such as HBA1C and blood sugar can keep a heck on one’s blood sugar level. HBA1c is a very good indicator of an average of 2-3 month of sugar level in your body. Many times it can tell you if you are in a pre-diabetic stage where you can still avoid diabetes through simple lifestyle changes without having to take any medicines before its too late. Liver Test: A regular check of liver once every 6 months is highly recommended to those who love to drink alcohol. A simple blood test is good enough to indicate your liver’s overall health especially to rule out any possible effect of alcohol on liver, which is the number one cause of liver serosis. One can also get an ultrasound of abdomen to detect a fatty liver or possible kidney stones. If detected early liver serosis can be completely avoided and even reversed, as we know our liver is self-healing, all it needs are just some simple changes in lifestyle. These are the important tests that need to be undertaken regularly for staying away from diseases. An apple a day keeps the doctor away is not suitable because the apple might not be as natural as they used to be. One thing is for sure “Regular tests a year can keep the diseases away”. Health can’t be compromised with any luxuries in the world because, without health, no other luxury holds any meaning. Live life to the fullest and prioritize your luxury that is health before it is late. A healthy body is a food for the healthy mind too. It is time to beat the reasons of unhealthy life. It’s your life, own it!